How often do we show gratitude? On Thanksgiving? On Memorial Day? On Christmas? Birthdays? When we get good news? But what about for ordinary days like this? What about for the rest of year? Are we not grateful on a daily basis? I have mentioned before that gratitude for me is an art. Yes, the art of being thankful everyday! And this feeling of gratitude towards everything helps enormously in changing one's mindset and well-being. They say gratitude bridge the gap between what we have and what we do not have. It is only when we appreciate the things we have that we can make ourselves ready to receive more blessings! ♥ I have flu and colds is really making me uncomfortable. But I am grateful that despite all, I am still able to go to work and do all the things which I need to attend. ♥ I am thankful for being invited by CIE as one of the members of their panel for their students defense. This is something I am honored to do...and I would love to talk more about this over the weekend. ♥ I am grateful to have finally started the materials I need for conducting trainings. With that is the gratefulness of meeting wonderful people whom I can work with on this project. ♥ I am thankful for having my best friend Pia again! LOL We have not met for a very long time and to have her around brings so much joy in my heart. It is like I have found a missing part of me... Truly friends are God's wonderful gifts! 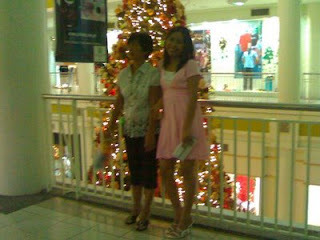 ♥ I am thankful for my Mom's fast recovery. She had asthma attack last weekend and for her age and with her health history, it is just scary...yet she responded well with the medication and is getting better each day. For Word Filled Wednesday, please scroll down...Thanks! and have it in its fullest. My Word Filled Wednesday entry this week has been inspired by Susan the Wellness Writer. She started writing another wonderful series of post last Monday on Thinking About Life's Meaning. Her brief discussion on the book written by Bruce Grierson, U-Turn: What If You Woke Up One Morning and Realized You Were Living The Wrong Life? got me into the topic once again...though I admit, it's the first time this happened! Every now and then I always go back to this question...what am I living for? What is my life's meaning? And then, there is that one dreaded question, what if I am living the wrong life? Scary isn't it?! I have not read the book yet but Susan did mention in her part 2 post that the book is about people who dramatically made a U Turn in their lives...I however, like her, is more interested in knowing and understanding what prompted them to make those changes rather than the different turns which they took. So many times in our lives we are unsure if we are living the life we want...the life we deserve. Most often than not, this happens when we are faced with so many issues in our lives...for it is during those moments that we are more likely to shift gears before stepping on the gas. This reminds me to my WFW entry last week on Deliverance. And ask myself that question again, do I really need to struggle to live the life I've been wanting to live...and the life I deserve?! Then, what is that life that I want and I deserve? My dear friends, John 10:10 summarizes all the answer to my questions in my search for the meaning of life. Many years ago I have decided to lift it all up to him. I have stopped trying to live the lives which people thinks I need to have. I have stopped living the life which I believe I need to have simply because my family background, my friends and the society I am living in tells me that it is the life I am inclined to and should have. Today, I am renewing that resolution and covenant I have made to myself many years ago...that turning point in my life when I decided to be happy. The day I commit to live my life according to His will. To live the life I ought to have. The life which He wanted me to live to its fullest. A life that is pleasing to His eyes. It is not easy. The journey is long...tough...and there are so many bumps along the way, but I know in the end it will be all worth it. Life's challenges will simply delay my trip...but it will never derail me from my destination. This week, I am so happy to share with you all the wonderful life I found in Him. Wish you all a blessed and meaningful Wednesday! P.S. I hope to write more on this topic this Sunday for my Sacred Life Sunday. If you are here for FUN Monday, please scroll down! I rarely blog more than once in a day...but looks like I need to! I am just overwhelmed with so many things right now...and how I want to smack somebody in the face...okay, maybe a kicking pad will do! I really thought I was starting my week right! IT Guy and I had lunch at Rai-Rai Japanese restaurant, then we met Pia after that...spent the entire afternoon chatting and had dinner...then I go to work. Well I am at work...now...and just one email I had to go through and it pi$$ed the hell out of me! Apparently we have a potential client coming. The main office sent the presentation which they wanted us to use. Wow...impressive...35 effing slides of bluffs and lies! One of the highlight in the presentation is the management system which I created for the company...and they specifically brag the training course which I also made when I propose to train people and to have them align with it. So what is wrong with that you might ask. Well, it is wrong when they refused to make any comment on that training modules which I made like a year ago! Made it look like it was not important, not needed and all...so there was no training! And now, they are making it as a selling point?! WTF! Later, we will have a meeting with the main office and I will ask them exactly just what they mean by that specific slide...and how they wanted us to do the presentation...and hopefully they hang themselves with their answers as they always do! I have colds...and I so want to go home on time but, some people just want to schedule meetings an hour after end of business hours...amazing! Hope things get better tomorrow! I have been really struggling in trying to catch up with people's blogs and all...and I most of the time fail half way...so for some whom I have not visited yet, will flutter around this weekend! I got into Dolce Bellza's lovely site, and found this nice fun thing to do...not that I can't have anything else on a Friday, just that, my mind seems not to be in proper tune to do some haiku. So, below is my first Friday Fill-Ins! 1. Why do we have to get sick? 2. Oil Pulling and Yoga are now habits. 3. I have been so blessed. 4. I had never heard the phrase "thrown under the bus" and it is not nice at all. 5. If you find someone you love in your life, then hang on to that love, the way I always do. 6. How am I to know what's in your mind and heart all this time. 7. And as for the weekend, tonight I'm looking forward to finish my review on the COPC Standard version 4.3, tomorrow my plans include getting a haircut and Sunday, I want to jog! For other fun and wonderful fill-ins, please visit Friday Fill-Ins! For Wordless Wednesday entry, please scroll down! 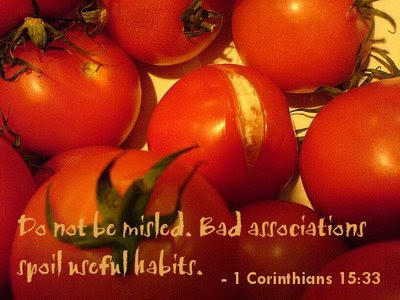 Bad associations spoil useful habits. Wish everyone a blessed and a Word Filled Wednesday! I invite you to celebrate with us as we share inspiring Bible verses at Word Filled Wednesday! So today will be about kids wit and just just how they say the darnedest things! I have a younger cousin...and well, this happened like 10 years ago...yet I still laugh and smile the same way I did every time I remember it! We call her Aloh, and you can check HERE why and how she has grown! That is one of the many reasons why I don't have a tattoo! I'd like to thank the following people who signed up for Fun Monday today, please visit each other as I'm sure to visit all of you! For the third time, I'm hosting FUN Monday!!! So every week, one blogger would volunteer to host and will pick a theme/topic/challenge for that week (usually done the week before! ), interested bloggers then sign up...and comes the next Monday...people post their entries and visit each other. And the fun...goes on! If you want to check how much fun we've had, you may want to visit Robin the Pensieve to check old themes and hosts! I'm inviting everyone...like EVERYONE to try this fun blogging activity...and also, you may try hosting FUN Monday...I'm telling you, it is just an exciting way of meeting wonderful people. Now...for next week...it will be something very easy! It will be...Kids Say the Darnedest Things! Yes, they can be your children...your nephew...niece....siblings...just any experience which makes you say...indeed, Kids Say the Darnedest Things! They need not be a lot...but no limit to how many you can share...more means more fun! 1. Sign up here that you are joining. 2. Put up your list on Monday, March 16. (You can also do it as early as Sunday evening.) And please link to my site. To those who are new and is joining the first time, please let me know it is your first time so I can 'pimp' you up to the whole Fun Monday community. I hope to see many participants...see you Monday! It's such a nice feeling to be back, as in for real...like being able to make several posts within the week! - The gift of health. Though the past weeks has been quite draining for me, I'm so glad that despite that and the not so nice weather here, I am still good...I'm usually sensitive to those two! - Gift of family and friends. - As I have mentioned in my Fun Monday post, I downgraded my cellphone plan...and since I've been a good customer to them, valuable I mean!, ahem, they still opt to give me a handy phone. Nothing fancy...a Nokia Supernova 7210...cute...and it serves my need! - I'm getting a Lenovo S10! - I can use it to do my other 'ventures', such as doing trainings and studies. Yes, I'm so blessed to meet wonderful people whom I can partner with in making my dream (which is to go into projects base and consulting ventures) a reality! I have more for sure...as blessings come in so many forms every single moment of our lives! They are like butterflies which flutters around...adding colors to our world...all we need to do is stop whatever it is we are doing and enjoy their fluttering around us. With that, let me share with you 13 amazing facts about nature...Mariposa's fascination...the BUTTERFLY! ♥ The word butterfly came from the English word Buttorfleoge. Perhaps because, in mediaeval times, butterflies could be seen hovering around butterchurns or that their excrement is yellowish in colour. ♥ There are approximately 28,000 butterfly species in the world. ♥ Butterflies are the second largest group of pollinators.....next to bees. ♥ Butterflies range in size from a tiny 1/8 inch to a huge almost 12 inches. ♥ Female butterflies usually are bigger and live longer than male butterflies. ♥ Butterflies don't have lungs. ♥ Butterflies taste with their feet. ♥ A butterfly has compound eyes: each eye is made up of about 6,000 tiny parts called lenses, which let in light. ♥ Butterflies can see red, green, and yellow. ♥ Butterflies can see ultraviolet light (light invisible to the human eye) which makes the markings on flowers very vivid to them and guides them to the nectar tubes. Some butterflies have ultraviolet reflectants or markings on their own wings which are visible only to other butterflies. ♥ Butterflies are cold blooded; they do not produce metabolic heat like humans, so they must rely on the sun to raise their body temperature so they can move about. Some bask with their wings open, others with wings shut. ♥ Butterflies cannot fly if their body temperature is less than 86 degrees. ♥ Butterflies have their skeletons on the outside of their bodies, called the exoskeleton. This protects them and keeps water inside their bodies so they don’t dry out. The past weeks was a training course for me and my faith...and I'm so blessed to make it this far! God had renewed my heart, and had fortified my spirit! Truly God's power make us victorious over everything...we just have to give it all up to him! One day, a mother brought her son to the beach. The son was enjoying the water was so much, that before they knew it, he had gone to the deep and was drowning. On the shoreline was a strong young man. The mother seeing her son drowning went to the young man and asked for help. The young looked at the mother and then the struggling child, but he did not do anything. At such time when the child had stopped struggling and was slowly drowning down, the young man ran to the child and grabbed him...and brought him to the shore safely. The mother was so thankful, yet couldn't resist asking the young man, what took him so long to help her son. The young man said, it will be easier for me to save him the moment he stopped struggling. Then, he asked me, Mariposa, at what point are you now in your life? Are you still struggling or have you given it all up? Since then, for every trials that come my way, I always reflect on that story...and give it all up to God. First off, I'd like to mention here a friend of mine, who sent me assistance for the children. Bless you heart! And also, I'd like to congratulate you and your wife, cheers for a wonderful life ahead. I hope you informed me in advance about it, not like I learned it from her, 7 months after...that was like, embarrassing for me to have her email me through your email to tell me that and to show me your photos. I could have passed by for both you then...but, maybe next time! I have mentioned it many times here in my blog that I am a sucker for MEME, and well, I took another nice meme from her royal highness, Little Pea! 1.He’s sitting in front of the TV: what is on the screen? Not sure...but well, most restaurants here offers thousand island dressing...so we go for that! 4. You go out to the bar. What does he order? We rarely go out drinking...he is cool with anything...but he gets tipsy too soon, too fast! It's usually me who is a bar fan...but I think he is fine with vodka...beer...tequila! University of San Carlos...an all boys catholic school! I think he is between 8 and 9! That should be Tomato, Lettuce and Cheese sandwich...easy to prepare and healthy! 9. What would your Husband (bf) eat every day if he could? Malayan race (as Filipino race is from that! ), then a little of Chinese and Spanish! Playing computer games...surfing the net...watching movies...driving! And since I took this from Little Pea, let me also add here her modification, that part which is her fave about her hubby, bf, for me! ♥ He is a very humble guy...very frugal and is very fair to people. ♥ He is hard working...and takes his job seriously. ♥ He is thoughtful and sweet. With that said, he always surprises me with little something...like buy small stuff for me...like that candy he remembers I mentioned about weeks back...charging and updating songs in my iPod...going shopping with me...etc! ♥ He does not care much about people's opinion on him as long as he knows he is not stepping on people's toes, he is good! So there, that is why I love this guy...and despite all the bumps we had...having...I'm still marrying him, because I love him too much and there was never a time I doubted his love for me. Work is killing me...making me spend so many hours...two Mondays ago I was forced to be at the office for 22 hours! So...do the math, and think how long do you think will it let me to recover the sleep I'm missing...when the days after that...were like 10-12 hours at work! Pffft! Add to that other personal issues that need some sorting...and well, on a happy note, everything is going well now. I do get some minor bumps once in awhile but things are getting way better! This post will really be a mixed nuts...with 2 posts dedicated to Fun Monday...yup, I signed up for last week and well, did not make it to hit publish button because of some urgent things at work...which asked me to get there like 3-4 hours earlier than usual! Jo, my apologies, but well, better late than never! Jo of Chocolate and Other Things was so sweet to host last week's Fun Monday! And guess what, her topic for this week? It's ALL about our Mom and/or Grandma! Isn't it nice to make one post for that great woman whom we all look up to?! Though unmotivated to blog for weeks now, Jo, made my fingers type today...because if anything that is about Mom, I'm on it! ALWAYS! And since this post is quite late, yes, a week late, i'm just linking up to this POST. Because that is what my Mom to me, my super hero! What are you and your family doing to deal with the current economic situation on a personal level? Obama's got a plan for the nation, but how do you/will you deal with your own economic stress? This is quite interesting! I'm not from the US, but no one is immune from economic downturns...and well, my country? We are always on the downturn...ok, make that most of the time! Though most people look at me and would say on of the many things I'm good at it spending...on the other hand, I deserve an award for holding off my spending since last quarter of 2008. ♥ We have successfully lowered our communication expense. For example, I used to spend Php 5-6k minimum on my cellphone bills...so that is excluding my land line bills. I have lowered it drastically...and it is giving me so much savings! ♥ Less shopping for me. I am now planning more my purchase of shoes and clothes...so rather than shopping by impulse, it is now shopping by needs...and to be honest, I don't need much because I don't even get to wear some of the newly purchased clothes. ♥ We have also saved on fuel since we are using the old car most of the time...and it is run by diesel...which is way cheaper! ♥ We have slowly cut our spending on dining out...though I have to admit the past 2 weeks were just different..yet, we needed to spend more time together...because our work has been burning us out! ♥ IT Guy installed a financial manager software and I have to tell you, it is really helping us a lot! It allows us to put in all income versus expenditures...the fixed, the recurring and the variables. I have to say...it is unplanned spending that always kill our budgets...because before we know it, money is gone...and we can't really trace it back. We started using the software December last year and I would say, it is really giving us more savings now. ♥ Ah, also, most of our other incomes and allowances at work that are given to us through checks...automatically goes to our checking accounts...and once the money is there, it stays there...to cover recurring bills and become savings ultimately...because if we encash it, it does not get to stay long in our wallets! ♥ We are also forcing ourselves to go into long term investment. So our other savings we put into that...plus, we allocate a certain percentage of our earnings to go into that. So in case, we screwed up our savings today...we still have something in the years to come. There...hope I did not kill with you my 2 posts up there...and if you are still alive to this part, I hope you find the time to scroll down and read below. If you’re mad with someone , and nobody’s there to fix the situation… You fix it . Maybe today, that person still wants to be your friend . And if u don’t, tomorrow can be too late . If you’re in love with somebody , but that person doesn’t know… tell her/him. And if you don’t say it, tomorrow can be too late . If you really want to kiss somebody… kiss her/him. Maybe that person wants a kiss from you, too . And if you don’t kiss her/him today, tomorrow can be too late . If you still love a person that you think has forgotten you…. tell her/him. Maybe that person have always loved you. And if you don’t tell her/him today , tomorrow can be too late. If you need a hug of a friend… ask her/him for it. Maybe they need it more than you do. And if you don’t ask for it today, tomorrow can be too late. If you really have friends who you appreciate…. tell them. Maybe they appreciate you as well. That if you don’t and they leave or go far away today , tomorrow can be too late. If you love your parents, and never had the chance to show them… do it . Maybe you have them there to show them how you feel. That if you don’t and they leave today , then tomorrow can be too late. I'd like to thank anyone who emailed and wish me well! I'm fine...and I have temporarily put down my HNT...so no invite for people because the site is like dead for now...I hope to be back with HNT by next month! Thanks to Sage and Autumn for all...and also to Vixen! I wish everyone a FUN Monday!! !